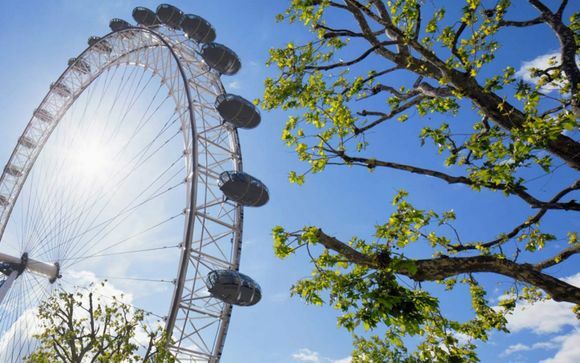 You are just 10 minutes from the shops of Oxford Circus, Regents Street and Bond Street! 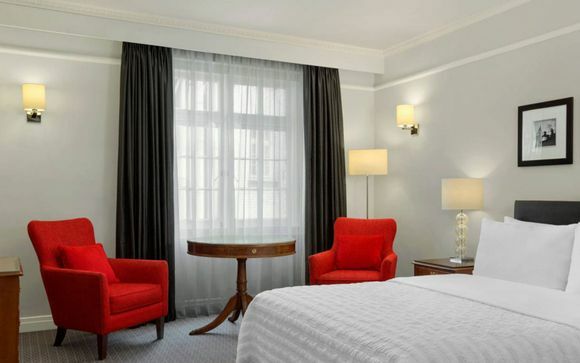 Centrally located in the heart of London's West End between Piccadilly and Regent Street, Le Méridien Piccadilly is within walking distance of Piccadilly Circus, Soho, Bond Street & Leicester Square. London is immersed in history, with an abundance of fascinating antiquity and historic splendour. 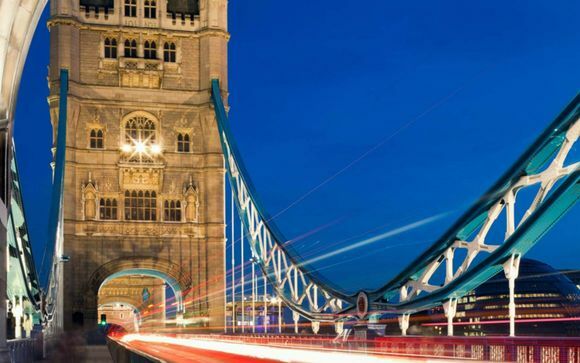 London’s buildings are eye-catching milestones and a great many of them – the Tower of London, Westminster Abbey, Big Ben – are familiar landmarks. There’s endless innovation (the Shard, the London Eye) but it never takes away from London’s well-preserved, centuries-old narrative. Architectural grandeur rises up all around you in the West End, ancient remains dot the City and charming pubs punctuate the banks of the Thames. Take your pick. With its timeless Regency architecture and central location, offering unlimited opportunities for discovery, Le Méridien Piccadilly is recognised as the landmark hotel in Piccadilly Circus. Relax in the authentic, yet modern décor of othe hotel rooms in Central London's most popular locale and enjoy beautiful facilities such as one of the largest hotel indoor swimming pools in London. The Regency-era styled Deluxe Rooms are more spacious to enrich your experience. It is a desirable room for the curious-minded traveller who seeks to discover a new perspective of London. Enjoy extra space and comfort, with an average room size of 25 sqm. There is complimentary in-room WiFi and a 32 inch flat screen TV with Entertainment Centre. Guests have use of bathroom, slippers and Le Meridien bathroom amenities. The Deluxe Rooms offer tea and coffee making facilities, and guests have free access to the health club and swimming pool. Discovery awaits at Terrace Grill & Bar, located on the hotel’s second floor. The venue combines a modern British grill with a classic gin bar. Meanwhile, Longitude 0°8’ serves a wonderful selection of cocktails and light snacks in an undeniably stylish setting. Recently awarded 1 AA Rosette for Culinary Excellence, the Terrace Grill & Bar overlooking Piccadilly is divided into two spaces: a modern British grill serving meat and fish that are grilled to perfection, and an upper lounge area unveiling a classic Gin bar, ideal for pre-dinner drinks. The Terrace Grill & Bar welcomes you to start your day with Signature Breakfast; informed by the distinct flavours of Great Britain. Enliven your morning with dishes such as Norfolk Duck Egg Benedict, Omelette Arnold Bennett and various Eye Openers: an unexpected take on refreshments. Throughout the day, Terrace Grill & Bar also serves Afternoon Tea and guests can enjoy the original experience of Gin & Tonic Afternoon Tea, offering a new perspective on two English culinary traditions, Tea and Gin.